Why is no one visiting your website? For most small to mid-sized businesses, digital marketing plays a major role in their marketing mix, and at the heart of most digital marketing efforts is a website. Building a website is the first step towards successfully marketing your business online, but throwing up just any ole website and expecting people to find you is not a realistic expectation. A website is, at the end of the day, a tool in your marketing tool belt and should be measured against what you expect to accomplish with it. You must use the right tool for the job. There are countless reasons why your website may not be delivering the traffic that you hoped or expected that it would. In this post, we’ll look at four of the most common and correctable potential reasons that no one is visiting your website. In doing your own research or working with marketing professionals, you may have heard the phrase “content is king.” It’s a very popular phrase, and with good reason, it’s accurate. Your website is, and will only ever be as good as the content that it contains. Focus first on creating content that will bring visitors to your website, and then focus on converting them into leads and customers. There are a huge number of factors that search engines look at in determining whether your website should show up for specific keywords. Many of them are technical and semantic based, like the code and keywords you use. 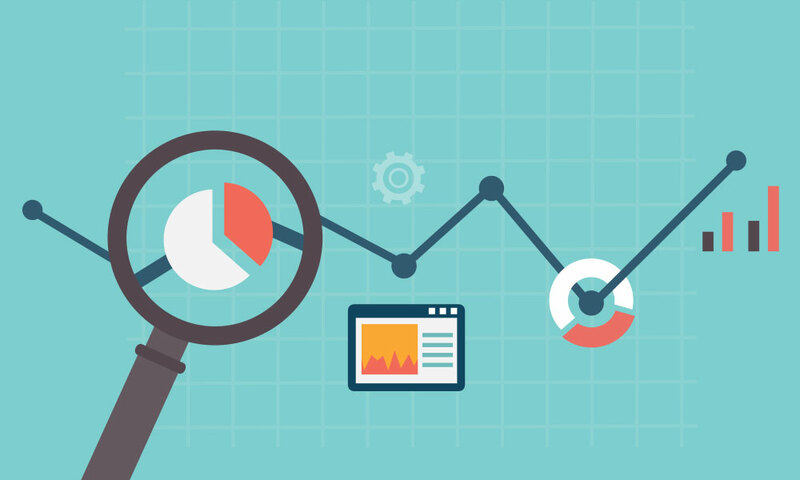 But many of them are behavior based, like bounce rates and average time spent by users on your website. Creating content that is easily consumed by visitors and provides them with something of value or even something valuable enough to share is the best possible strategy for long term success with search engines. Break up your paragraphs – especially in the age of mobile browsing; short paragraphs are easier to read and digest for your users. Avoid industry jargon and gobbledygook – your visitors won’t be impressed with your use of meaningless words, instead speak to them like human beings. Address your website visitors directly—use the word you when addressing your visitors. Provide value – your website visitors are there for one reason, they think that you offer something of value that they are interested in, don’t let them down. Spell and grammar check – the likelihood is that you will make a spelling or grammar mistake, even if you check your work, but limiting these mistakes is important for your credibility. Try using a tool like Grammarly if you need help with this. The final tip I would offer with regard to your content is that your website is the place for long-form content, not blurbs. If you want to write a sentence, use Twitter. If you want to write a paragraph, use Facebook. Reserve your website for well-constructed, long-form content that will pull visitors in and keep them there. While it’s not likely that search engines put a lot of stock in the length of your content, your visitors will, and there is a documented correlation between content length and how well you show up in search results. So, when writing content for your website, fully elaborate on the subject at hand to create real value for your visitors, and in return, the value of your website will increase. If the internet had a declaration of independence, it would include the phrase “all keywords are NOT created equal.” It may not be what you want to hear, but it’s the truth. In the end, there’s not a whole lot of difference in showing up in the #1 spot on Google for a keyword that no one is searching for and not showing up for any keywords at all. Let’s look at an example of how keyword choice could make or break it for your website traffic metrics. For this example, consider that you own a book store in the Houston area that carries a range of books from current residents of the New York Times bestsellers list to travel guides and vintage classics. Clearly “Book Store” has the greatest volume of searches and would be the best choice as your targeted keyword, right? Not necessarily. Perhaps, but what if I told you that of the 201,000 searches for “Book Store” nationally, only 0.1% were from the Houston area while 66% of the “Book Store Houston” searches were local to your business? It’s also true that you’d probably have a good chance of earning that top spot in search results for “Rare Book Store Houston”. 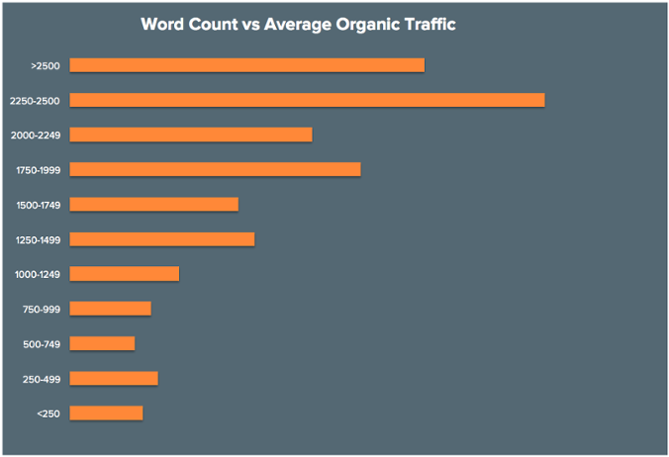 It’s a long-tail keyword and you’d probably have the easiest time ranking well for it. But what’s the point if no one is searching for it? If you can capture only 10% of the people who are searching for “Book Store Houston” your website would see 59 visitors for the month. 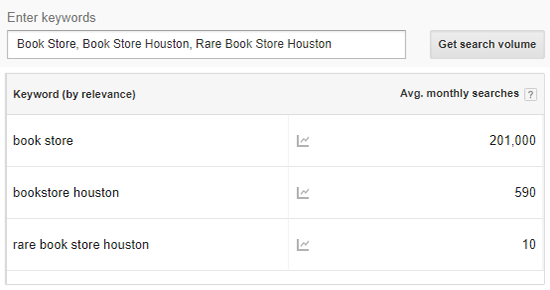 If you capture 100% of the people searching for “Rare Book Store Houston” you still only have 10 visitors for the month. The best choice for your targeted keyword, in this case, is “Book Store Houston.” It provides the best likelihood of success while still providing a reasonable number of monthly searches. Keyword research is an important part of creating your website and a major factor in its success. If you optimize your website for the wrong keywords, you’re likely to either show up well for keywords that no one searches for or not show up at all for keywords that are too competitive. For those of us who remember dial-up modems, a slow website has a different meaning. It may seem to you that in the age of broadband you needn’t worry about the speed of your website. You’d be wrong. It may be the age of broadband, but it’s also the age of mobile and waiting for a slow website to load on a mobile device is enough reason for most people to abandon a page. Building your website correctly from day one is the best way to start optimizing your website for faster performance. Proper optimization of your website will include image optimization, code optimization, server optimization, and everything in-between. It’s a large undertaking for the non-developers among us, and it is a good idea to work with a professional that you trust to avoid doing more harm than good. 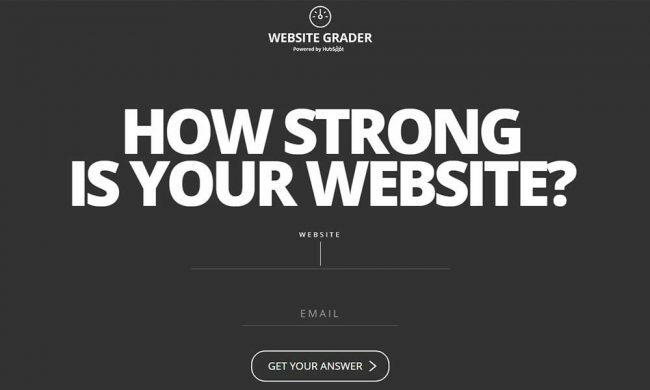 You can check the current health of your website using HubSpot’s Website Grader. It will give you a general idea of your performance from a speed perspective, as well as other important factors like responsiveness and SEO optimization. It may be rare, but there are scenarios where Google will penalize you for trying to manipulate your search rankings. There are two ways in which a site can be penalized, a manual action or an algorithmic penalty. Manual action penalties are easy to identify. You can log into your Google webmasters account and check for notifications from Google regarding any penalties. Algorithmic penalties are a much trickier situation. There will not be a helpful notification in your webmaster account. Instead, your website will suffer a sudden, even dramatic, drop in traffic that coincides with the release of an algorithmic update from Google. It can be tough to diagnose an algorithmic penalty as an algorithm update can also affect your rankings without necessarily being a penalty by boosting your competition, for example. If you are able to determine that Google has penalized your website, you must address the underlying cause as quickly as possible. Addressing the cause will obviously be easier with a manual penalty, given that Google will directly tell you what is causing it. With an algorithmic penalty, you will most likely need to work with a credible web design and/or SEO company to identify and address the cause of the penalty. If the answer is little to no investment, then it’s time for an increase. And while monetary investments in areas like digital advertising, social media marketing, and content marketing are fantastic ways to generate more traffic, it’s not always about money. Invest your time in writing better, longer, and more engaging content; invest your energy in reaching out to the online community to help build relationships and links to your website; invest yourself in your website, and you will see the returns. Just because you build it, doesn’t mean that anyone will come. If you don’t have the time or energy that it takes to put in the hard work of building website traffic, perhaps it makes sense to work with a Houston digital marketing company to cover the areas that you can’t.